This beautiful vacation home is truly paradise!!! Set in a peaceful, private community and less than 10 minutes to award winning beaches and shopping on 5th Avenue and 3rd Street!! This spacious 2,800 sq. ft. custom built home has 4 bedrooms - all with new, large flat screen TV's and new pillow-top mattresses, 2.5 baths, luxurious resort style pool, a/c, exceptionally large screened lanai, exceptionally large private back yard on a preserve, living room, dining room, family room with big screen TV and vaulted ceilings, newly renovated kitchen w/ granite counter tops and under-the-counter radio - CD - DVD player, dinette, private computer room, laundry room, 2 car garage, 5 sets of golf clubs, tennis rackets, 4 bicycles and a new gas grill! Every consideration has been given to your comfort - ready for you to enjoy!!! For these reasons, we ask for careful guests only please. Please contact us today...we are looking forward to sharing our little piece of paradise with you!! One outside shower located near pool. Minutes to the Gulf of Mexico! Clubhouse which includes exercise room, heated pool, lighted tennis courts and large lake for fishing or canoeing - all within walking distance. Just 10 minutes from beautiful 5th Avenue and pristine beaches. Five sets of golf clubs, tennis rackets, bicycles, beach chairs, guides and maps of Naples are available. Don’t wait; make your vacation warm and fun! Beautiful, peaceful and comfortable property!!! This is really impressive home, that has everything you need on your vacation. It’s very clean and well maintained. It truly feels like a home away from home. We enjoyed the gorgeous pool and the wonderful accommodation!! We look forward to planning our next visit!! Thank you Laura and Fred for sharing your beautiful home with us!! Laura and Fred provided us with the perfect home for our Florida vacation. They made sure to meet every need. The home is spacious and well appointed. The proximity to shopping and dining is unbeatable. Great property for a family! This house was wonderful; pictures accurately showed all the space. The pool was terrific & the lanai was large and well furnished.There was plenty of room in the house, kitchen was well appointed, lots of linens, towels and pool towels. There were pool floats and children's toys also. Everything worked well. Laura & Fred were so good about communicating, answering any questions that came up. We thoroughly enjoyed our stay & hope to return again some time. 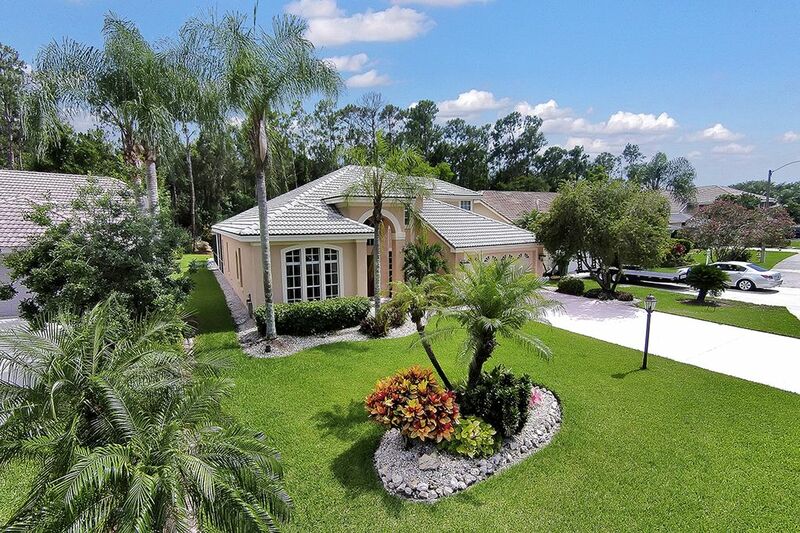 Fantastic home with absolutely everything! Fred and Laura are wonderful hosts who thought of everything. This home is perfect for a family vacation. It’s close to everything and in a beautiful location. We’d definitely choose this place again! A wonderful week of family fun made possible with the comfort & convenience of this beautiful home ! The nice-sized heated pool had a lot of activity. Plenty of pool toys/floats for the kids. The spacious lounge area/pool deck looked into a nicely-landscaped backyard with many trees providing quiet privacy. Well-equipped kitchen, breakfast room and family room overlooking the pool & backyard. Overall, Laura & Fred's home was in excellent condition and very clean !! I also really liked the location - a couple of miles east of the nice downtown area. And a ten-minute drive to the beach. I give it a Five-Star Rating !!! We have been in Laura´s villa during October 2018 for the 4th time and had once more a wonderful time. The villa has plenty of room and is well equipped with everything you might need. The pool has a comfortable size and we enjoyed using it whenever possible. When we had any question, Laura and Fred would help us. Crown Pointe is a very quiet and friendly community, the distance to the beach is just 5 miles. We enjoyed going to the magnificent beach, strolling in the 5th Ave or the 3rd Str with many possibilities to have dinner or a drink. The Waterside Shops in the north of the city offer a wide choice of elegant apparels and jewelry and we found there some fine restaurants. We thank Laura and Fred for this great vacation. Close to Downtown, many sites and attractions close by, clubhouse just steps away. Naples is the crown jewel of Southwest Florida -- nestled on the sun drenched beaches of the Gulf of Mexico. Naples is known for world class shopping, dining and abundant, challenging golf courses. It is also, only a short drive to the untamed tropical wilderness of The Everglades. Boasting one of the nation's best beaches and calmest seas, Naples makes a splash with water lovers and recreationists. Friendly parks beckon sports enthusiasts and picnickers with lovely green spaces and recreational facilities.